As with any new Apple product, questions abound over the details of the new iPad 2. Sure, we know it’s thinner, faster, and lighter and, like the original iPad, set to dominate the tablet landscape. But even if you’ve watched what Steve Jobs had to say, read our hands on account, and perused our pretty pictures, you may still have lingering queries about the new revision. Not to worry—the Macworld staff is here to answer those burning questions and put your curiosity to rest. Read on for all the gory details that we’ve been able to accumulate about the latest revision to Apple’s tablet. What’s the iPad 2’s screen resolution? What are the specs for the two cameras? The iPad 2's front camera can record video or take pictures at VGA resolution. According to Apple’s iPad 2 tech specs, the front camera—the one facing you when you’re looking at the iPad’s screen—is virtually identical to the front camera on both the iPhone 4 and the fourth-generation iPod touch: it can record VGA video (640 by 480 pixels) at up to 30 frames per second and can take photos at the same resolution. The back camera is similar to that of the fourth-generation iPod touch, in that it can record HD-quality (720p) video at up to 30 frames per second, and take pictures at that 1280 by 720 pixel resolution; the camera also offers a 5x digital zoom. However, the iPhone 4 maintains its spot on top of the pack in terms of still images: its 5-megapixel camera produces substantially higher quality pictures (2592 by 1936 pixels) than what the iPad 2 or iPod touch can produce. Speaking of cameras, will I finally be able to use FaceTime over 3G networks? Nope. FaceTime is still available only over a Wi-Fi connection, regardless of what iOS device you’re using. How much RAM is in the iPad 2? As with previous iPad, iPhone, and iPod touch models, Apple doesn’t publish nitty-gritty specs such as memory amounts. We may have to wait until someone—such as our friends over at iFixit—actually takes a new iPad apart before we know if the new model has more RAM than its predecessor. We certainly hope so. What about other hardware changes? The Apple-designed dual-core A5 is at the heart of the iPad 2. Perhaps the biggest hardware change, apart from the two cameras, is that the iPad 2 uses a new, dual-core processor Apple calls the A5. 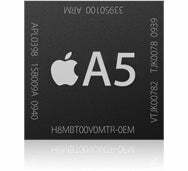 Apple says the A5 chip offers performance that’s up to two times faster than the A4 chip inside the original iPad, despite running at the same 1GHz clock speed; graphics are nine times faster, according to Apple. All the while, the A5 consumes a similar amount of power as the A4 does. That means that despite the improved performance, the iPad 2 should maintain the same 10-hour battery life as its predecessor. The iPad 2 has also gotten a physical makeover, with a new, thinner design and tapered case. Is there a bigger speaker? A bigger speaker is one of the features we’d hoped to see in an iPad revision. Unfortunately, Apple hasn’t mentioned anything about an improved speaker. The opening for the speaker certainly appears larger on the iPad 2, but that could simply be a change in the casing, as the iPad 2’s metal back is shaped differently than that of the original iPad. We’ll know after we have more time to play music and movies on the tablet. Does the new iPad have a Thunderbolt port? No. As we mentioned in our FAQ on Thunderbolt, it’s unlikely Apple’s iOS devices will get Thunderbolt ports any time soon. Thunderbolt is a PCI Express-based technology, and iOS devices don’t use a PCI Express architecture. It’s also unclear what advantages a Thunderbolt port would have over the current 30-pin dock-connector port. Are there different versions for GSM and CDMA 3G networking? Yes, Apple will sell separate models for GSM and CDMA networks—AT&T supports the former, while Verizon will serve the latter. And that means there’s actually a total of nine iPad 2 models: Wi-Fi and 3G/Wi-Fi models in three capacities each (16GB, 32GB, and 64GB), with the 3G models available in both GSM and CDMA versions. Interestingly enough, Apple’s specifications page notes that the AT&T 3G model will weigh 6 grams more than the Verizon version. Wait, did we say nine? It’s actually 18—don’t forget that each model will be available in black or white. Will Apple be offering the original iPad at a lower price, as it often does with previous-generation iPhone and iPod touch models? It doesn’t appear so, as Apple is currently selling the Wi-Fi only and GSM 3G versions on clearance—rather than as a part of the new lineup—on the online Apple Store. If you’re looking to pick up an original iPad on the cheap, now’s the time to do it. What’s this about video mirroring from all apps? Does that include the Home screen? 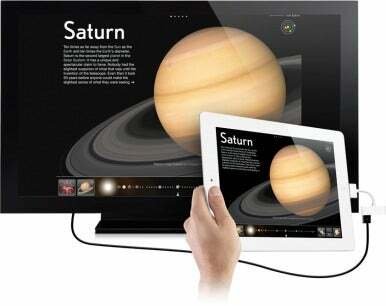 With a video adapter, you can mirror the iPad 2's entire screen on an external display. Unlike the current iPad video-out feature, which is available only from within a few specific apps, the iPad 2 can output all video at up to 1080p resolution (although Apple says movies will play at “only” 720p). This includes the Home screen, making the new iPad much more useful for demos and presentations. Speaking of video output, will my favorite apps automatically get the new AirPlay video-out feature of iOS 4.3 on the iPad? Developers will need to upgrade their apps to take advantage of the new AirPlay video output, so you’ll have to wait until your favorite app gains this feature. That said, iOS 4.3 will bring AirPlay to Safari, which means that compatible video on the Web should work with AirPlay right out of the gate. The new GarageBand app looks interesting, but does the new iPad’s screen offer pressure sensitivity? Sort of. 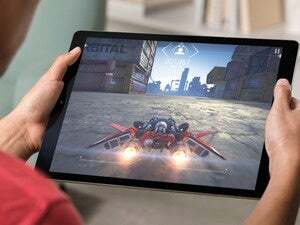 Using the built-in accelerometer, the iPad can detect how hard you’re tapping the screen (regardless of whether the iPad is on a table or you’re holding it in your hand); however, this isn’t a replacement for the kind of sensitivity offered by graphics tablets and higher-end music keyboards. All the same, it certainly helps add to the GarageBand experience. Apple says the new iPad has magnets built-in. Magnets? How do they work? Apple's new Smart Cover case attaches to the iPad 2 with magnets. Indeed, the iPad 2’s enclosure hosts a number of hidden magnets designed specifically for attaching Apple’s new iPad Smart Cover. The case—which is really more of a screen protector, as it doesn’t protect the rest of the iPad’s body—has a hinge that attaches to magnets on the edge of the iPad, and uses magnets on the front of the iPad 2 to stay closed. There’s also a sensor inside the iPad that detects when the cover is closed or opened, automatically putting the iPad 2 to sleep or waking it up, respectively. Can you use the new cover with the original iPad? Unfortunately, no. Not only does the original iPad lack the built-in magnets needed to attach the case, but the Smart Cover’s attachment brackets are designed specifically to fit the iPad 2’s new tapered back. Can I use my old case with the new iPad 2? If your case is designed specifically to fit the original iPad, then you’re likely out of luck—the new model’s thinner, flatter shape will probably mean a poor fit. On the other hand, sleeves and slipcovers for carrying the original iPad will probably work just fine with the new model. Does this mean I won’t need a case at all for my iPad? Well, that depends on you, really. The Smart Cover doesn’t protect the back of the iPad 2 at all, so if you’re worried about that aluminum getting scuffed and scratched (and anyone who has an original iPad has probably run into that problem), then you might want some other case. Rest assured, third-party vendors aren’t about to throw up their hands and give up on making cases. 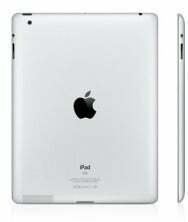 How much will the iPad 2 models cost? As Apple has been known to do, the company is maintaining the same prices across the iPad line while adding features and capabilities. The 16GB, 32GB, and 64GB Wi-Fi-only models will sell for $499, $599, and $699, respectively, while the Wi-Fi/3G models will sell for $629, $729, and $829 for the same capacities, respectively. So when can I get my hands on an iPad 2? The iPad 2 will be available in the U.S. starting on Friday, March 11. On March 25, it will become available in Australia, Austria, Belgium, Canada, Czech Republic, Denmark, Finland, France, Germany, Greece, Hungary, Iceland, Ireland, Italy, Japan, Luxembourg, Mexico, Netherlands, New Zealand, Norway, Poland, Portugal, Spain, Sweden, Switzerland, and the UK. Additional countries will follow “in the coming months,” according to Apple. Great, where can I place my order? Not so fast. Unlike in the past, Apple isn’t offering any “pre-orders” for the iPad. You won’t be able to actually place an order online until March 11. In fact, it seems like the quickest way to get a new iPad will be to buy one from an Apple retail store, where they will go on sale at 5:00 p.m. on March 11. Apple has a How To Buy page set up with information. Also, Apple hasn’t given any indication of how many of which models, capacities, and colors will be available at launch.